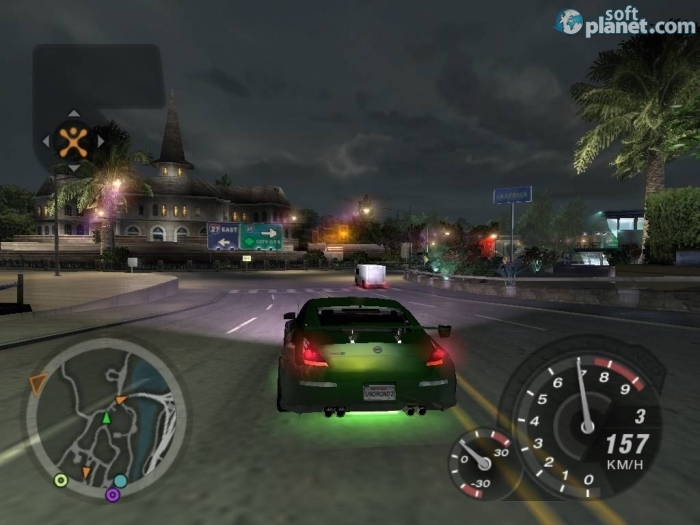 SoftPlanet makes it possible for everyone to get free Need for Speed Underground 2 download directly from our servers. There is no registration needed for downloading. 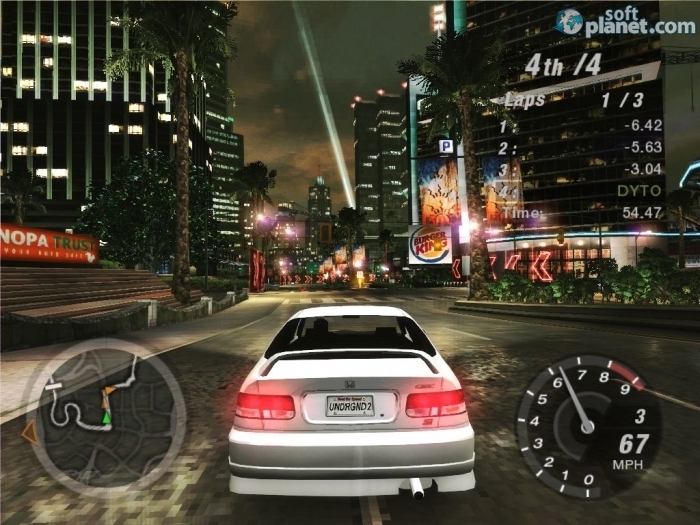 As we have already mentioned, NFS Underground 2 is the first street race game, actually the first race simulator, which lets gamers leave the track and play in the “real” world, avoiding traffic. Now you need to find race event on your own by browsing the map. The game offers the following game modes: Circuit, Street X, Drift, Sprint, Underground race League (URL) and Outrun Races. Probably most of you have never heard about “Street X”. This mode is very similar to both Circuit and Drift modes. Regarding the Outrun Races, it is something that each NFS fan has ever wanted – to drive freely and compete other cruising street racers. The game offers really engaging gameplay. For instance, now you can actually drive through different kinds of obstacles like fountains, showing your car's maneuverability. 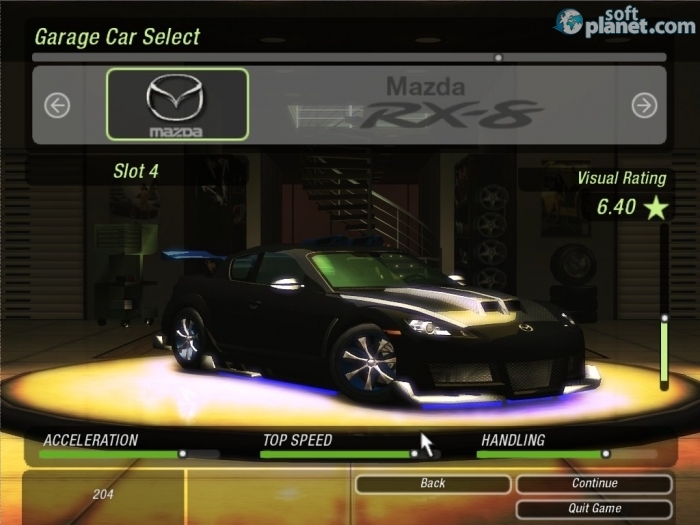 Tuning cars is the next great thing about NFSU2. 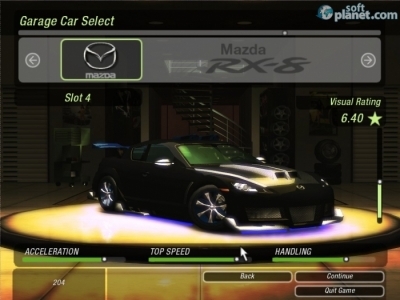 You can choose among hundreds of body and performance parts, colors, vinyls, rims, etc. Thus you are allowed to express your individuality by creating a unique vehicle. 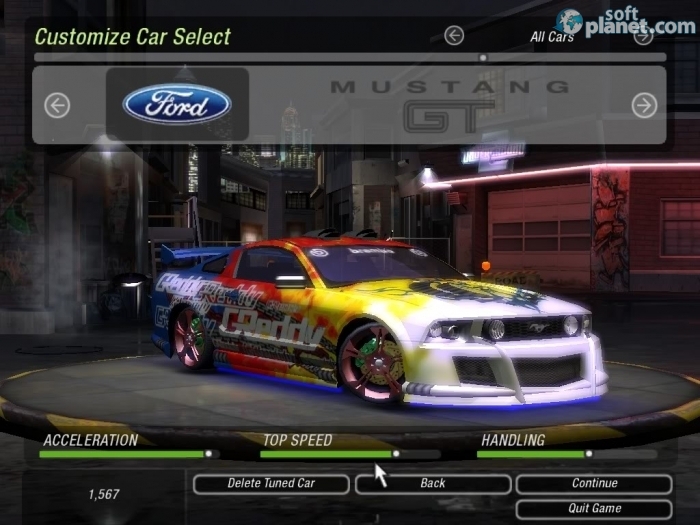 When it comes to cars, Need For Speed Underground 2 offers 29 different vehicles. This number also includes three SUVs. Nice, right? Have you ever wanted to race in Hammer H2? Now you can. This race simulator game comes with decent graphics for its time, enough to let your enjoy all vinyls, pearl paint jobs, neon lights, etc. Need For Speed Underground 2 is one of the games, which will remain in history, because of its soundtrack list. Riders On The Storm will always be the trademark of NFSU2. Engine sounds are pretty realistic and additionally increase your gaming experience. Need For Speed Underground 2 changed the gaming world forever. It lifted the bar very high and set new standards for each race simulator. Need For Speed Underground 2 might have a limited number of challenges, but you can play it forever, because the number of tuning combinations is endless. Tune your own 10-second car, race and become the greatest driver in the world. When you do, just choose another street racing machine and start all over again. Need for Speed Underground 2 is VIRUS-FREE! Our security scan shows that Need for Speed Underground 2 is clean from viruses. The current version of Need for Speed Underground 2 has been scanned by our system, which contains 46 different anti-virus algorithms. That ensures that Need for Speed Underground 2 is 100% safe for your computer.